Relative pronouns are connectors – they link relative clauses to main clauses so that you don’t have to repeat subjects and objects. If any of these grammatical concepts are unclear to you, please study those lessons before reading this one. 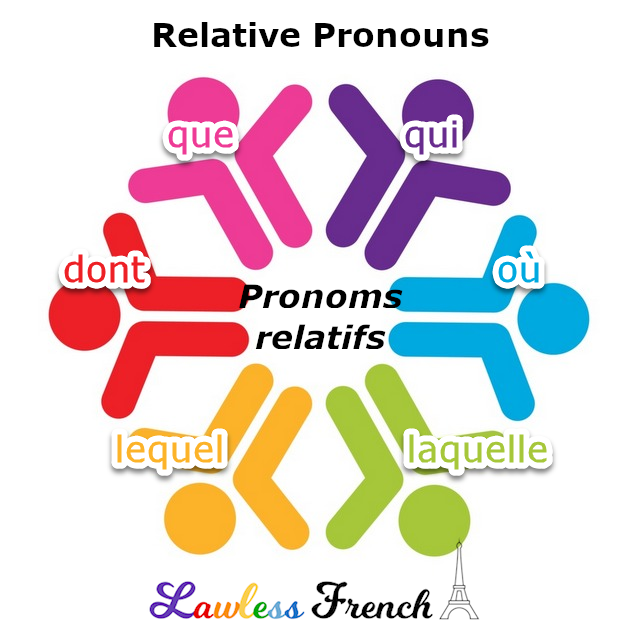 There are five French relative pronouns: dont, lequel, où, que, and qui. These are equivalent to seven English relative pronouns and adverbs: that, when, where, which, who, whom, and whose. 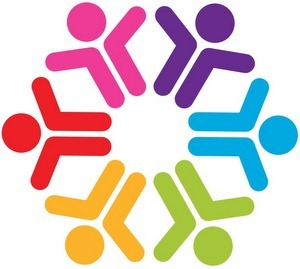 I can’t give you a nice French relative pronoun = English relative pronoun/adverb list, because the grammar is somewhat different in the two languages, and there are at least two possible English translations for each French pronoun, depending on the context. Here’s a summary of French relative pronouns with their functions and possible translations – please click to read detailed lessons on each one. French also has indefinite relative pronouns (ce dont, ce que, ce qui, and quoi).